We think outside the box when it comes to promoting your brand, creating memorable impressions and increasing awareness with promotional products from Integ. 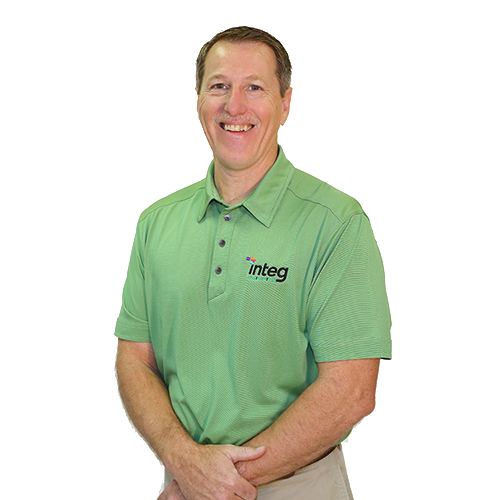 Whether it’s an employee appreciation gift or memorabilia for customers, Integ is committed to finding the “Wow” products that increase brand recognition and make a lasting impact to your customers. Drinkware (water bottles, tumblers, coffee mugs), calendars, apparel and headwear, writing instruments, tech accessories and more! Imagine it. We’ll brand it as yours. Contact Gary McWilliams at 254-751-1012 for more information.